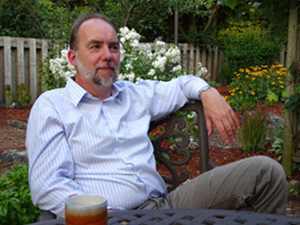 Interview Veteran software pro Tom Slee was one of the first critics of so-called “Sharing Economy” outfits like Uber and AirBnB. 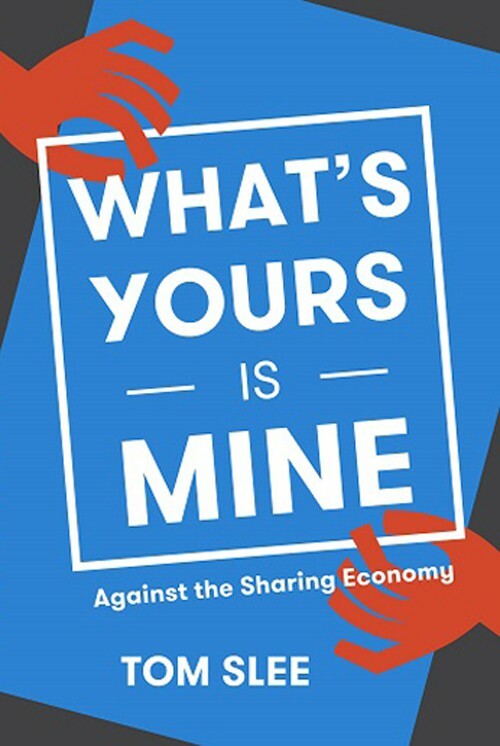 His forthcoming book What’s Yours Is Mine: Why The Sharing Economy Isn’t draws attention to the dark side of their operations – and strongly argues for regulation. But this creates a dilemma. They’re hugely popular with consumers, who ask “where’s the harm?” Won’t dumb regulation just make progressives and the Left look stupid? TfL’s suggestion that Uber cars wait outside your house for five minutes seems a great example. How can the Left deal with companies that have little original about them except casual labour or taking advantage of regulatory arbitrage, without making itself look stupid? I grappled with some of these issues with Tom. Here’s our chat. Our questions are in bold and Slee's replies are, er, not in bold. Reg: So what’s the “sharing economy”? I can tell you hate the term as much I do. Slee: I use the term “sharing economy” reluctantly. I don’t have the clout to get everyone to use a more accurate term, so I’ll have to use what’s there. Not a lot of the early efforts have grown, and it’s ended up with a small number of viable businesses. Uber is a defining case. AirBnB is the second. What is outside of those two? There’s online services: it started with TaskRabbit, and they try and do everything. Newer businesses have come up and said: we’ll do a particular type of service. Cleaning was one for a while. Google invested in a startup called HomeJoy – that’s a very unusual thing for Google to invest in, house cleaning. Well that got $30m of investment and went bellyup. PostMates is a service where someone will deliver something for you. Again it’s not clear that my mum in Leeds who gets her delivery from Sainsbury’s is going to want to use that, and there’s not a lot here that the internet is going to change. There’s an element of this is a visible fad and it will shake out to a few companies. The one other area is the financial technology side, with P2P lending – which has turned out not to be P2P lending at all. It turns out those businesses have just turned into a new way of qualifying loans for the financial institutions. The sharing economy was predicated on a set of values that I identify with. Values of sharing, values of community, values of non-commercial interactions. Now many people say that "the sharing economy" was never about sharing at all. But to me that’s too cynical. We can’t write off the motivations of a whole lot of companies, by saying they never meant it anyway. A lot of people did think they meant it. I was on a panel last year, and when I pointed out that Uber’s only innovation was mechanising casual labour, one of my panelists got very upset. He said, “You land in New York and there’s an app and a taxi arrives” – as if taxis didn’t already exist in New York, and Uber was the only company with an app. It was a very strange response. So what is the defining characteristic or characteristics of these companies? Most of their innovation is in the way they deal with regulation, rather than technology advances. That’s not to say there isn’t a lot of smart people building new code for what they do. But a lot of people are saying the innovation is "a new app". The app is just the foot in the door. That’s not the key to the business. There have been two or three phases to the hype, and to the Uber hype in particular. First it was a Land of Riches for casual workers. There was lots of money to be made working for them, such as $90k to be made in NY driving a car. Over time that story has fallen to pieces. That’s come and gone. You’ve seen it in the report (PDF) they did with [Uber's Jonathan] Hall and [Professor] Alan Kreuger. Uber has changed its pitch, now saying there’s a few extra dollars here and there to be made. NYC Mayor Bill de Blasio picked a very public fight with Uber and got badly burned. What happened there? This is one example where Uber and AirBnB have been busy learning from each other. They have a constituency of followers they can mobilise. We saw that in NYC, and we saw that with Proposition F in SF, which AirBnB won. The ex-Obama staffers they have hired are people who are used to operating at a high level. But Uber is really popular with people, and isn’t that a problem for progressives and indeed any kind of regulator? Sure, it’s not all about shady manipulation … even if they are shady manipulators! Clearly there’s a consumer-driven thing that’s contributing to Uber’s success. You’re quite correct they have rolled over everyone in N.America, certainly in the US, in Canada, things are a bit more up in the air. It’s probably here to stay. The key question to ask is what extent is this a straight consumer exchange? And what kind of labour laws do we want? We all play these multiple roles in our lives: consumers, workers, citizens. How do we balance our role as consumers against our other roles? Uber is failing in continental Europe because they’re more prepared to stand up for the importance of worker and citizen roles. It’s not clear that Uber’s runaway success will be replicated. Britain and Canada will go with it. They’ve already pulled out of many German cities and it’s not clear they’re going to win in China. That’s why I wrote a book. I suspect you’re right. But I see Uber and to some extent AirBnB as fundamentally anti-democratic. City Government has a role. If that’s out of date with current thinking, well so be it. Drivers seem happy too, although it’s early days. It’s an acute problem for progressives and the Left when you want to ban or regulate something, and yet you can’t show "harm" to justify it. Where’s the harm in Uber? The complaints from drivers only come later. In Seattle the drivers have successfully pressed to unionise, and they need a voice. They’ve realised trusting Uber to come through with the goods is not going to work for them. In a public transit system you often end up with heavily trafficked areas subsidising poorly trafficked areas. Uber has no commitment to do that. Uber wants to be the transit infrastructure of the future, but it would not have those commitments to universality. Well, boo hoo! That’s another consumer benefit, isn’t it? Some people – and I don’t mean you here, Tom – but some people like passing a regulation for the sake of it. It’s a virility thing. And that can undermine the strong moral arguments there are against casualisation. I’ll give you an example. The London regulator (TfL) floated an idea that Uber cars would have to wait for five minutes at your location, before you could get in the car. That would give the regulated cars “a chance”. Well, when people hear, that they just roll their eyes, and conclude that the Left is incapable of dealing with the modern world! Of course there are some areas of over-regulation. But thousands of cities around the world have independently decided that regulating taxis is needed, and it’s worth thinking why that is so. One reason is universality; another is transparency and consistency in fares; another is to give drivers an income. There are lots of problems with taxi services, but these underlying causes don’t go away with Uber. After-expense incomes for drivers are now on a race to the bottom, churn in the driver base is high. And personally I do think taxes matter, and avoiding them by using complex routing of funds through subsidiaries as Uber and Airbnb do is one more thing that needs to be stopped. It’s an easy place to go, to say: ‘just shut it down’. I wouldn’t mind, but that’s not the point. You’re right, simply to say ‘ban them’ is a reactionary stance. There have been complaints about BlaBlaCar from the rail industry in Spain. While I’m sympathetic to rail, I just think they’re on the wrong foot there. Personally, I think a public transit system as important for most cities in the future, and Uber is wanting to be a privately owned transit system. They are challenging public transit, and that’s what they want to do. That’s a problem for a lot of cities. Uber has also gone out of its way to be obnoxious company in so many ways. Harassing female journalists. Advertising “hot chicks” to drive you in France. They’re an easy company to hate. They typify a sexist Silicon Valley bro culture. I was thinking that perhaps helping along a more ethical Uber – say, a co-operatively owed citywide alternative – was better than imposing daft symbolic regulation. But then I noticed Evgeny Morozov argue something interesting. He was pointed to one of these examples of a driver co-op writing an app, an ethical rival to Uber,, and pointed out the network effects in Uber’s favour were still very powerful. The co-op challenger would never have the benefits of “Big Data” (this is his argument, not mine) to be able to compete with Uber. It will always be a monopoly. There’s $7bn of VC money that’s betting on Uber being a monopoly market. If it isn’t, then the VCs take a bath. A lot of well funded effort is going to make it a monopoly market. It’s not clear there’s one global monopoly; China is a special case, Uber is struggling there. But there will be a small number of winners. Despite all the investment in Lyft, Uber is likely to be the winner. Surely it’s more complicated than that. One thing that isn’t talked about very much about these sharing economy’ companies is that there’s not really very much to them. They own almost nothing – they have very few assets. They are totally reliant on the supply of the labour, on the goodwill of the drivers, who can disappear without even telling Uber that they’re clocking off. It strikes me Uber is in quite a precarious position. I think this is unsettled. I agree, it’s an open question. With Uber, we don’t know what their books like because they are a privately-owned company: we are changing city rules around the world for companies that may have to change their business model drastically once they go public – but by then it will be too late. Thanks to a leak we now know they lost almost $1bn in the first half of 2015 (Update: thanks to a leak we now know they lost almost $1bn in the first half of 2015). There’s a chance you’re right. A few years ago, Groupon was going to be the future of shopping. Then the merchants left. Tom Slee’s What’s Yours Is Mine is published by OR Books in the USA and the UK on February 11th, and by BTL Books in Canada on February 26th.